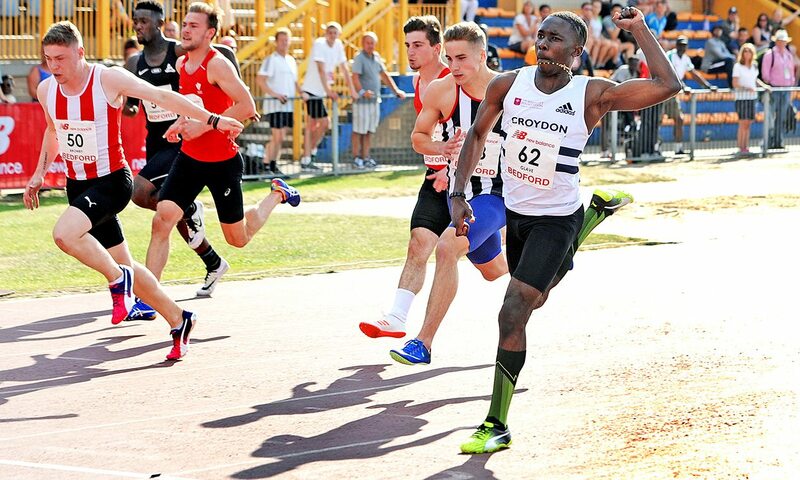 Many of Britain’s top young athletes will be in action in Bedford this weekend as the England Athletics U23 and U20 Championships takes place at Bedford International Stadium. Almost 1000 athletes are entered for the meeting, which incorporates the trials for next month’s IAAF World U20 Championships in Tampere, Finland. A number of under-18 events will also be contested, with some athletes aiming for the European Athletics U18 Championships taking place in Gyor, Hungary, in July. Commonwealth 4x100m relay gold medallist Reuben Arthur, Kyle de Escofet, Tommy Ramdhan and Oliver Bromby are among the entries for the under-23 100m, while the women’s event is set to feature Imani Lansiquot, Shannon Hylton and Hannah Brier. Last year’s under-20 winner Hannah Williams moves up to contest the under-23 400m, while under-20 sprinters in action are set to include last year’s double champion Romell Glave (pictured), Dominic Ashwell, Jona Efoloko, Alisha Rees, Ciara Neville, Kristal Awuah and Amber Anning. Mhairi Hendry and Daniel Rowden are due to defend their under-23 800m titles, while Isabelle Boffey and Markhim Lonsdale are back looking for further under-20 two-lap success. James Gormley (U23 1500m), Emile Cairess (U23 5000m), Cameron Corbishley and Callum Wilkinson (U23 race walk), Alicia Barrett and Mollie Courtney (U23 100m hurdles), Jack Lawrie (U23 400m hurdles), Jake Heyward (U20 1500m), Niamh Brown (U20 3000m) and Pippa Earley (U20 100m hurdles) are among other athletes in track action. Over in the field, the under-23 high jump entry lists include Commonwealth medallist Morgan Lake and finalist Tom Gale, while 16-year-old Dominic Ogbechie competes in the under-20 event. BUCS champion Naomi Ogbeta contests the triple jump, while British indoor champion Adam Hague, Charlie Myers and Harry Coppell go in the under-23 pole vault. Molly Caudery defends her under-20 pole vault title. Commonwealth Youth Games long jump champion Holly Mills competes in the under-20 event, while Jake Norris defends his under-20 hammer title against Bayley Campbell and Commonwealth Games finalist Taylor Campbell is in the under-23 competition. Divine Oladipo and Adele Nicoll are entered into the under-23 shot, while Emma Hamplett will be hoping to add the under-23 javelin title to the under-20 gold she won last year. A timetable can be found here, while a list of entries is here. Live streams will be available here.